When I was a young girl my dad started selling monuments (i.e. tombstones). On our travels, we went through just about EVERY CEMETERY known to man. While this was an annoying chore as a kid, it birthed within me a love for cemeteries and the history that can be found by visiting them. 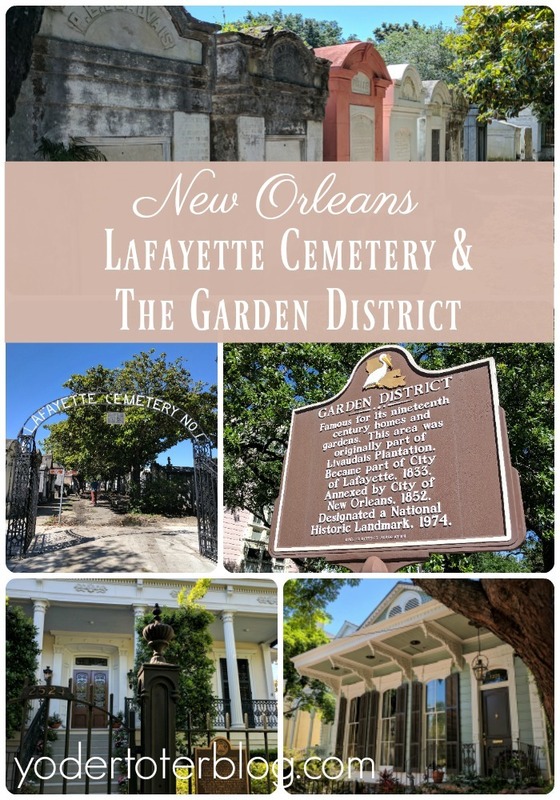 So, when planning our trip to New Orleans, I was most excited to read about Lafayette Cemetery and the Garden District. The architecture of antebellum homes coupled with one of the city’s oldest cemeteries made my traveling heart giddy! Lafayette Cemetery is a gem. I learned so many new things from our tour guide, Val, from Save Our Cemeteries. 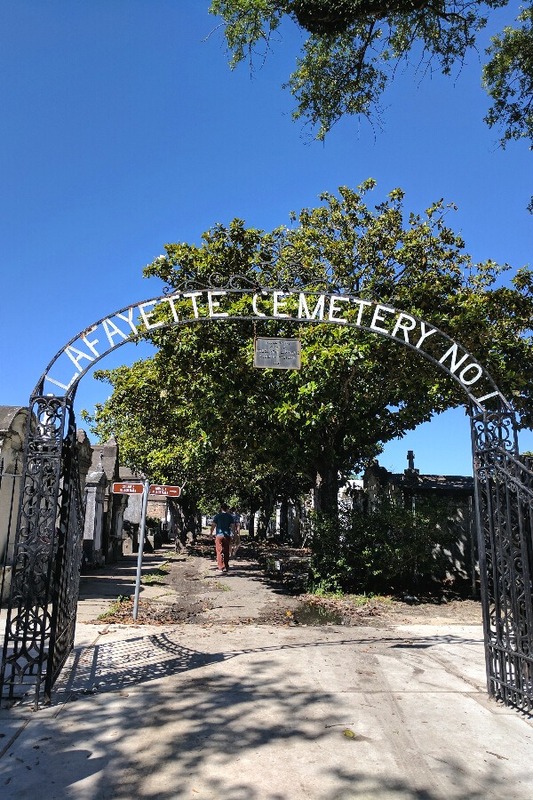 For instance- At one time, Lafayette Cemetery was the only non-denominational cemetery in New Orleans. It was actually illegal to be anything BUT Catholic in New Orleans until the US purchased Louisiana through the Louisiana Purchase! One thing that is striking about this cemetery is the large family tombs. 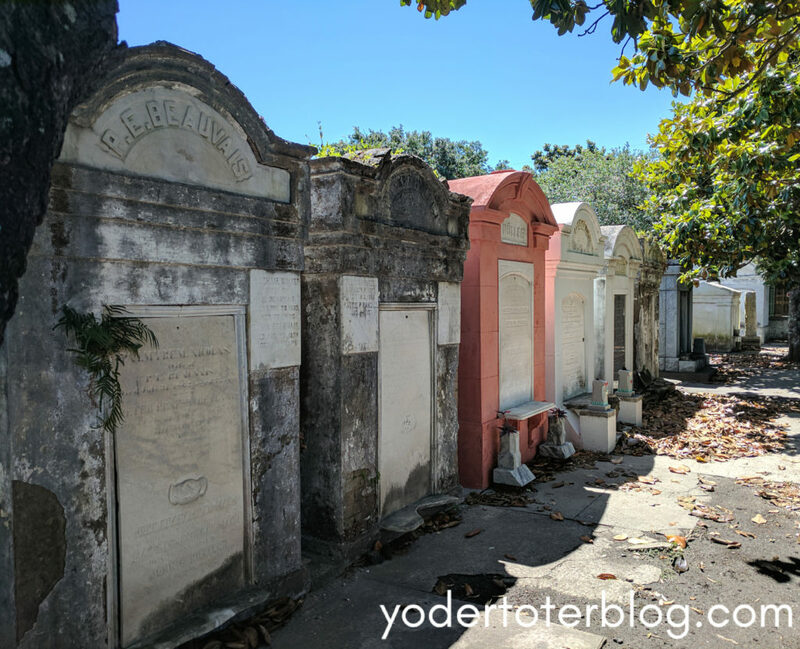 Unlike most mausoleums in our area that hold 2 adults, over 75% of the tombs in Lafayette Cemetery are family or societal tombs. Val explained that when a new person needs to be added to the tomb, the remains inside the last coffin are removed and bagged and then the recently deceased’s coffin is placed in a tomb. Hearing this was a little morbid, but because the cemetery is so old, this only needs to be done once or twice a year. 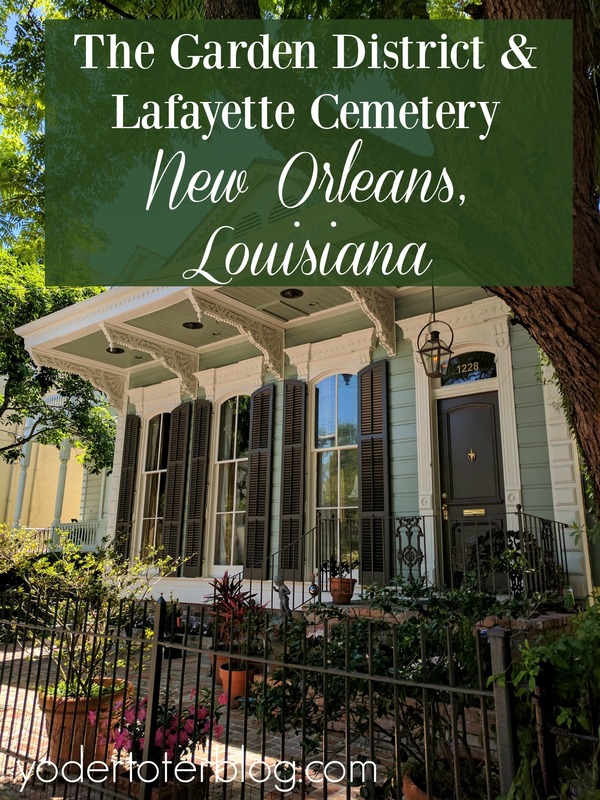 Our Lafayette Cemetery tour took just over an hour, and while you are free to roam the cemetery without a guide, I’m so glad we were being led by someone who knew the history. Also, Save Our Cemeteries is a non-profit organization and Val was able to point out some of the restorations that happen because of visitors (like us) paying for volunteer-led tours. 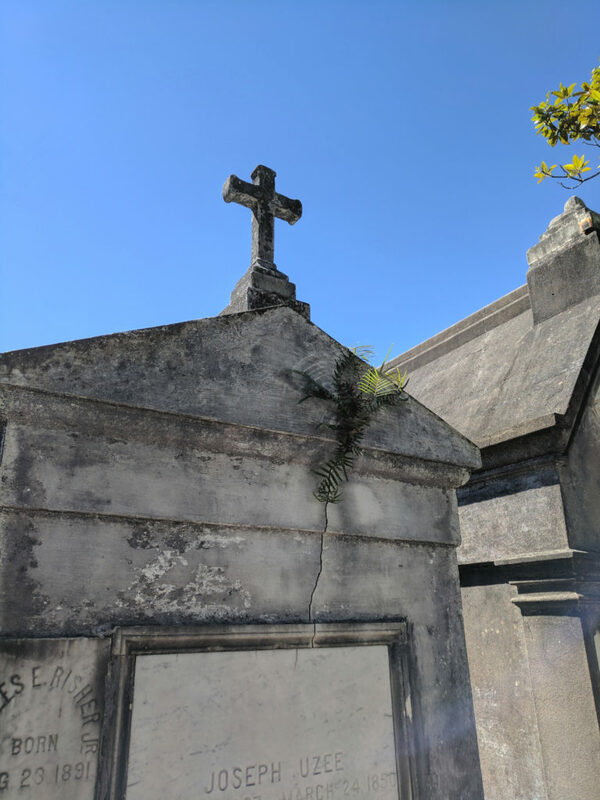 Before & after touring Lafayette Cemetery, you’ll want to spend some time exploring the Garden District. The Garden District was once part of a Livaudais Plantation. Originally the lots were more spacious and surrounded by gardens, however as the city grew, homeowners sold off extra parcels. This area has been used in many Hollywood movies and is now home to movie stars such as Nicholas Cage and Sandra Bullock (I was looking, but never spotted them. Ha)! 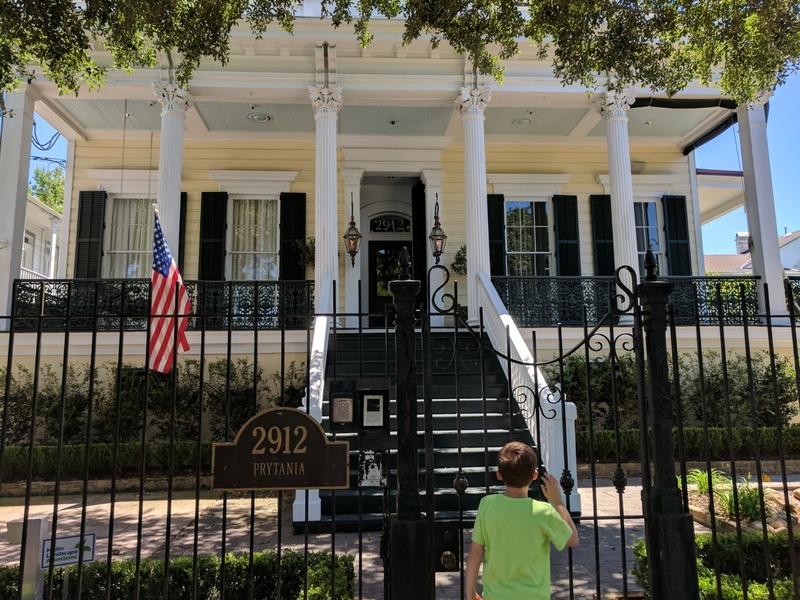 We took the Saint Charles streetcar to get from the French Quarter to the Garden District. All day streetcar passes are only $3/per person so for $15 our family was set! New Orleans gets props for having affordable, kid-friendly public transportation. You can get a self-guided walking map HERE. After our cemetery tour and the subsequent picking out of our retirement home, we headed towards Magazine Street. Val had tipped us off to the kid-friendly Joey K’s, a restaurant once featured on the Food Network. We chose sidewalk seating and I appreciated that the children’s menu had things like spaghetti and peanut butter & jelly! I prefer my kids eating these over the ever-present hot dog. 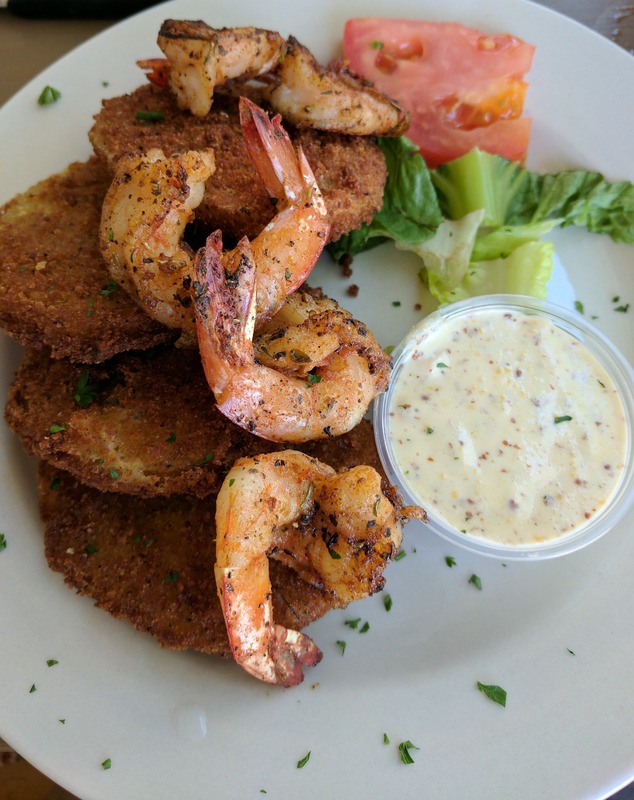 I chose the fried green tomatoes with shrimp and it was the perfect bit of southern cuisine. I left feeling full and happy. If your kids aren’t having a post-lunch meltdown, take some time to peruse the unique stores on Magazine Street. I saw many that I would have liked to visit if we had more time. 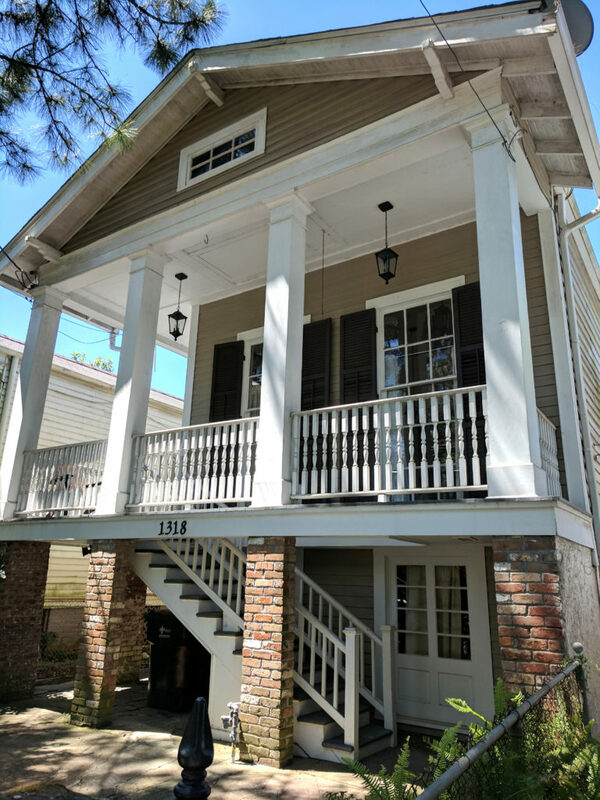 Instead, we chose to weave through the shaded streets of the Garden District homes and find our way back to the streetcar. If you need a take-out option for dinner, we had Magazine Pizza, not once, but TWICE, on our visit. Magazine Pizza’s crust was more like a pretzel bun. Yummo! Dinner time with kids is hard and they deliver to hotels! We took our double umbrella stroller with us and it served it’s purpose, but it was a bit awkward to push through the lafayette cemetery and over some of the older sidewalks in the Garden District. If you have only one child, a jogging stroller would be better. Pack water. Heat + lots of walking means you’re going to be thirsty. We refilled the same water bottles each night and kept them in our hotel fridge. Saves $$ and the environment. Save Our Cemeteries has tours at 10:30 am and 1 pm. I’d recommend the 10:30 (this is the one we did). When we left the cemetery it was as if the Garden District had all the tour buses arrive and it was much busier in the area than it had been on our way in. Plus, you won’t have the afternoon sun.